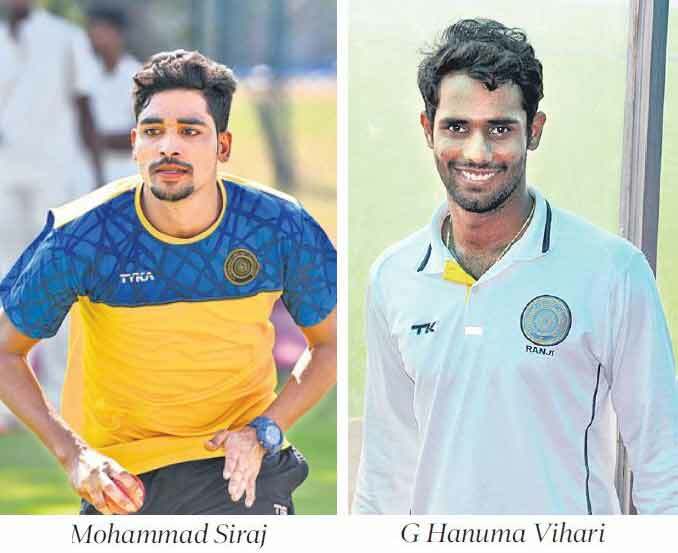 Hyderabad: Hyderabad pacer Mohammad Siraj and G Hanuma Vihari have been named in the India A side that will play three four-day Test matches. Vihari has also been named in the India A squad for the one-day series against England Lions and West Indies A. Shreyas Iyer will lead the side India A in one-day series while Karun Nair has been appointed captain for the India A for four-day matches. India A squad for four-day matches: Karun Nair (Captain), R Samarth, Mayank Agarwal, Abhimanyu Easwaran, Prithvi Shaw, Hanuma Vihari, Ankit Bawne, Vijay Shankar, KS Bharat (wicket-keeper), Jayant Yadav, Shahbaz Nadeem, Ankit Rajpoot, Mohammed Siraj, Navdeep Saini, Rajneesh Gurbani.